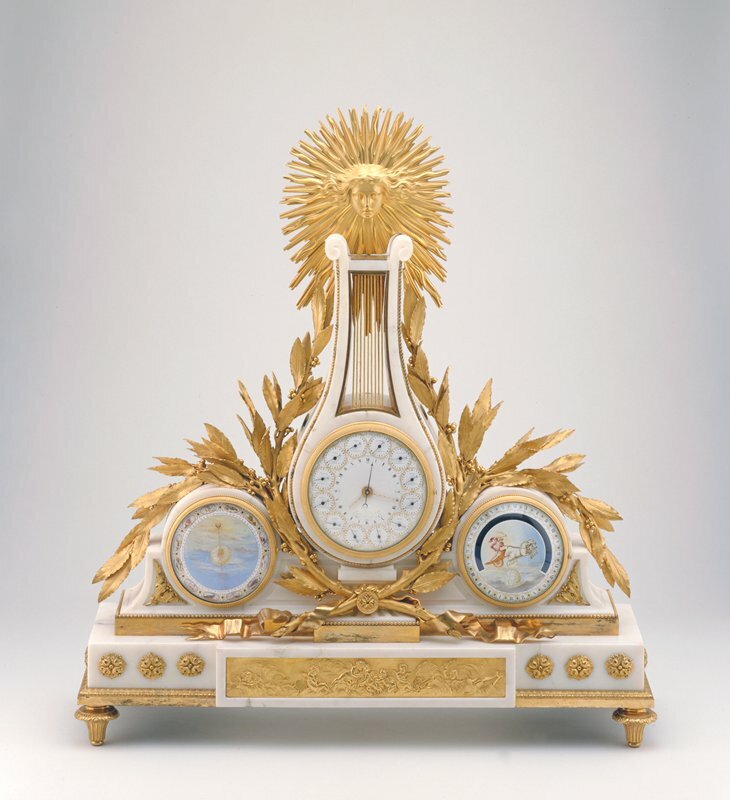 The multiple timekeeping functions of this clock make it one of the most ambitious objects ever designed by Jean-Antoine Lépine, clockmaker to King Louis XVI of France. The clock face features twelve secondary clocks that show the time in various cities around the world, from Boston to Batavia (present-day Jakarta, Indonesia). The dial on the left shows the position of the sun with respect to the constellations of the zodiac, while the dial on the right indicates the time of sunrise and sunset. In keeping with the clock’s theme, the decorations are those associated with Apollo, the Greek sun god. The mask of Apollo radiates above the lyre-shaped white marble case, enhanced with gilt-bronze laurel branches and leaves.